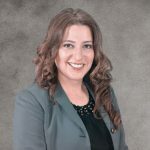 Amy Paz, EA, MACC — founder and owner of Paz Bookkeeping & Tax Services, LLC — is a certified QuickBooks Online and Desktop Proadvisor, IRS enrolled agent and professional tax preparer. She provides a broad range of bookkeeping, tax, and financial services including income tax preparation, monthly and quarterly bookkeeping, payroll, sales tax, incorporation, tax planning, IRS representation, and business consulting. Work For Paz Bookkeeping & Tax Services, LLC? Claim This Page.